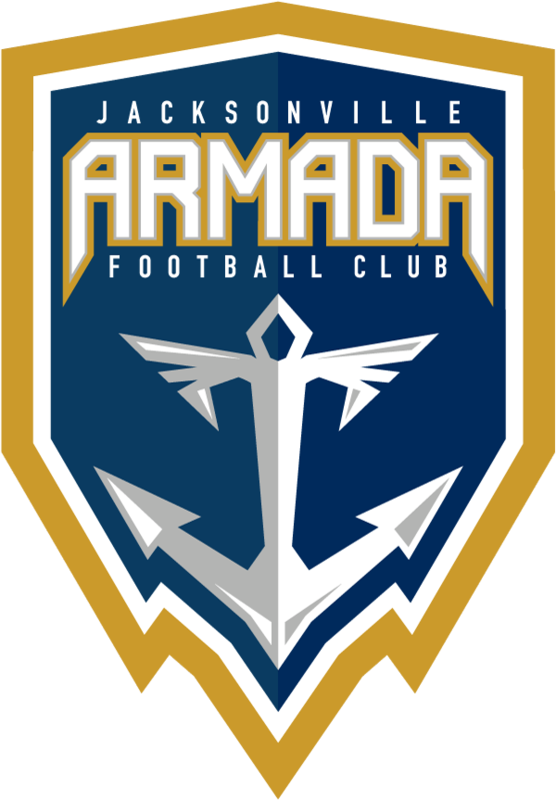 The Armada FC clinches a playoff position with 4-0 victory Wednesday. The Jacksonville Armada FC celebrated Independence Day Wednesday by shutting out Storm FC 4-0 in South Florida and clinching a playoff position. Ciarán Kilduff and J.C. Banks netted two goals each in the victory. The match was the last of the NPSL regular season on the road and the Armada FC will return home Saturday to wrap up the season against Naples United FC. Wednesday’s match was only four minutes in before a lightning delay. Action did not return to the field for two hours and 45 minutes. The Armada FC came back on the field with momentum right out of the gate. Kilduff was first to score only nine minutes into the match. Conor Doyle crossed the ball into the box, where Kilduff lined up to tap it in. In the 35th minute, Wesley Charpie set up Banks in front of net and Banks slotted it in to double the Armada FC’s lead. The Armada FC was able to go up 3-0 before the halftime whistle. Kilduff earned his brace in the 41st minute when Michael Melvin crossed in the ball, and Kilduff executed the perfect header into the upper 90. Minutes into the second half, Banks notched another with a solo effort. He won the ball from Storm FC and popped it up over the goalkeeper. A slew of substitutions from the Armada FC followed, including the debut NPSL and club appearance for Mitchell Hopkins – a former player for Jacksonville University. The final whistle blew with little chances by Storm FC, and a prominent victory for the Armada FC. The seeds for playoffs will be determined after Jacksonville and Miami FC 2 both play their final matches on Saturday. If Miami FC 2 wins, they will claim the first seed and immediate trip to the Sunshine Conference finals. If Miami loses and Jacksonville wins, Jacksonville would claim the first seed. If both teams win, Jacksonville would claim the second seed and host the semifinals.